Size: Approximately 60″ wingspan; 28″ deep at center point. Gauge: For the shawl shown, 14 sts and 12 rows = 4″ in single crochet using a size G/6 crochet hook. 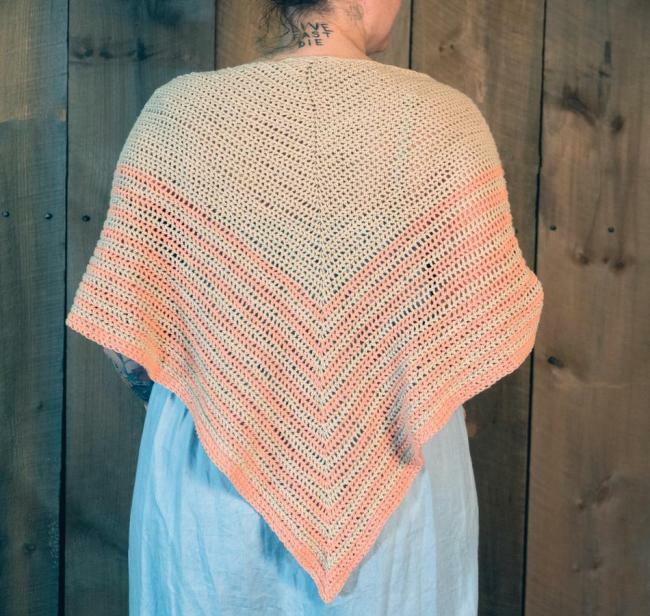 Note: This pattern can be made with any yarn or hook size you desire. Simply start at the beginning and keep working until you reach your desired size. It’s that easy! Cotton Carpet Warp 8/4 Yarn comes in so many colors, we decided to make a few combinations into kits. 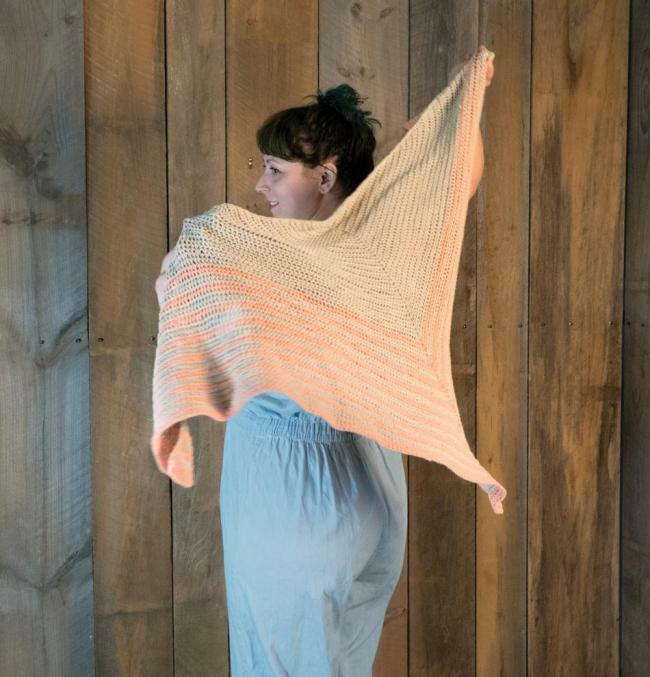 Each kit includes the pattern and more than enough yarn to make the project.